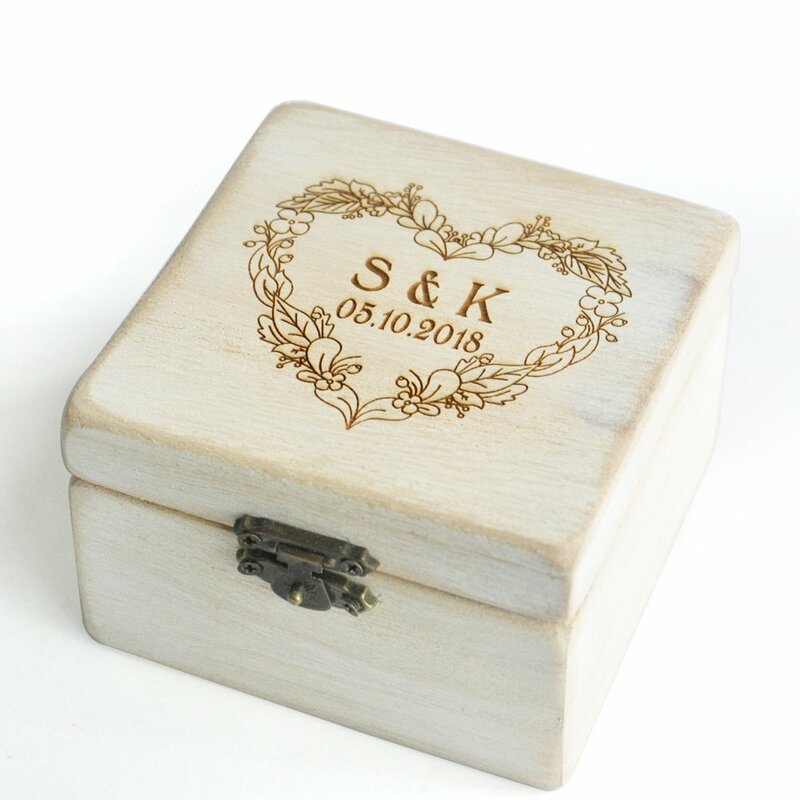 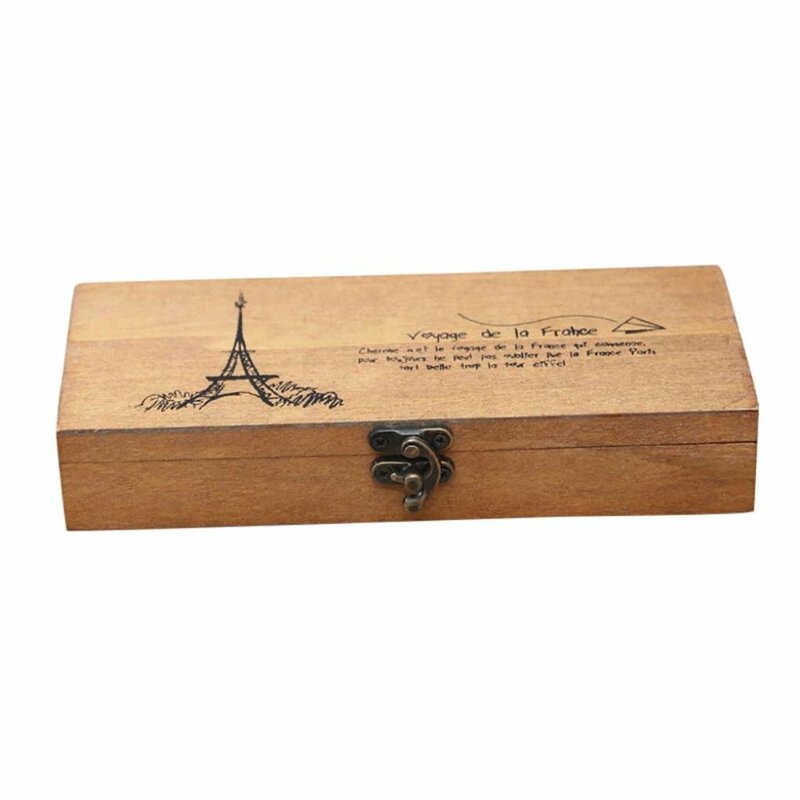 NIRONG LAVIE is a trademark exclusivily designing and crafting premium jewelry boxes. 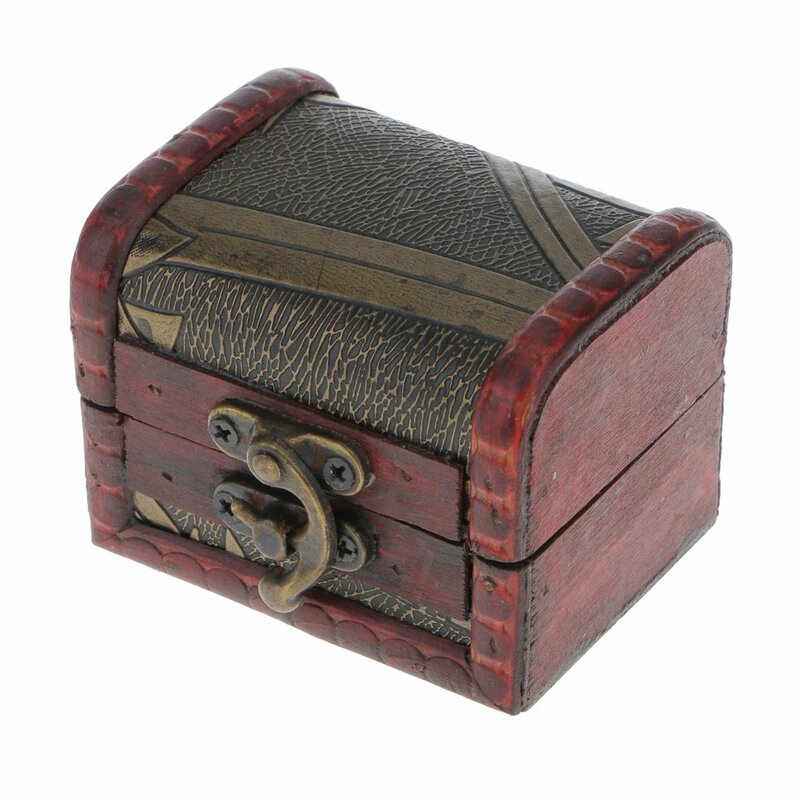 Visit us by clicking on NIRONG LAVIE Store to view our full offering of jewelry boxes. 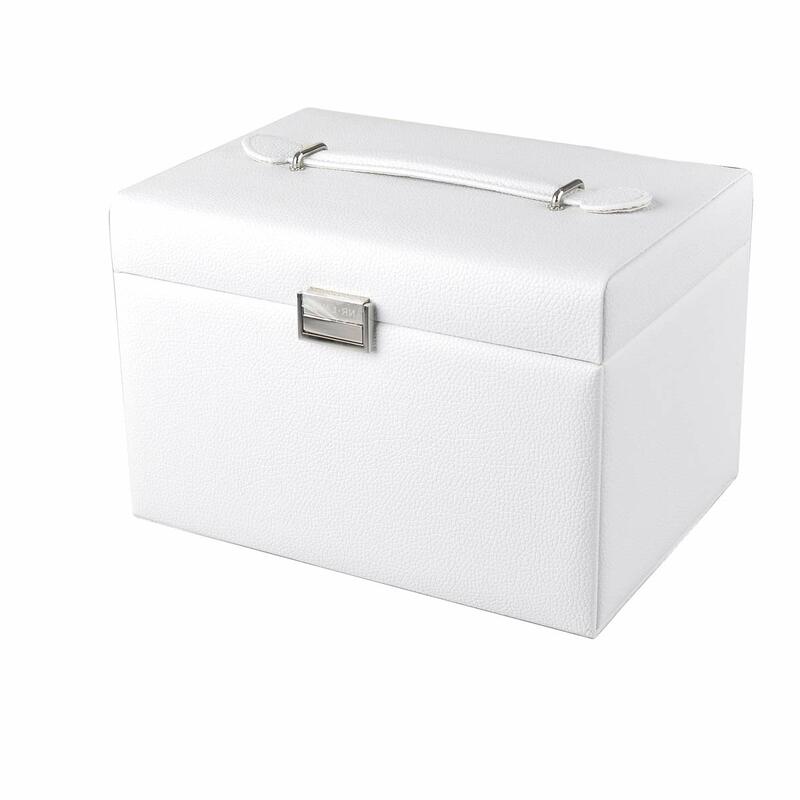 CITY BEAUTY is a medium sized jewelry box able to store large jewelry collections thanks to its multiple compartments. 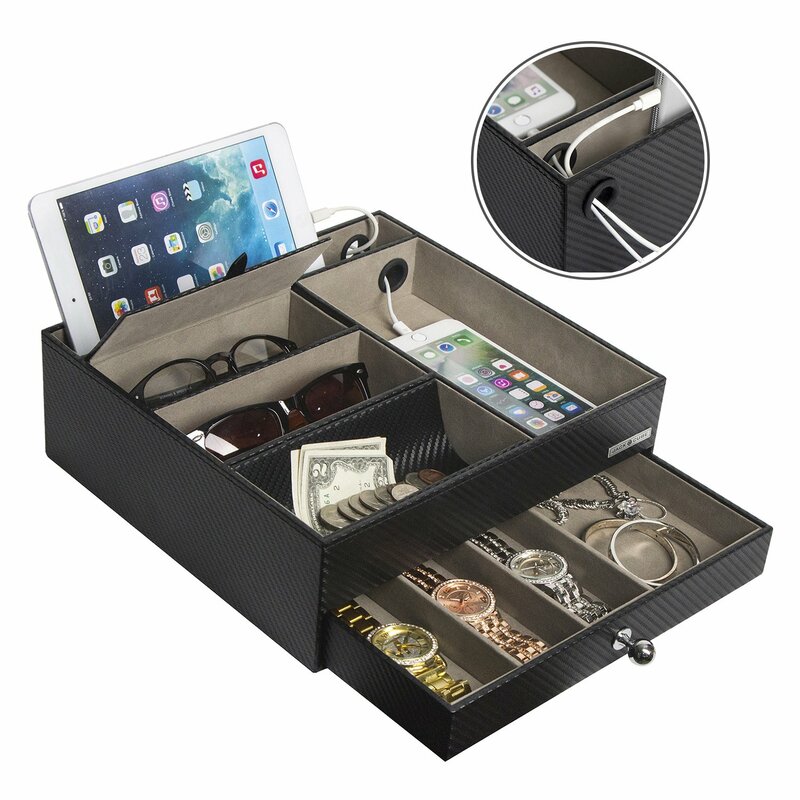 SPECIFICATIONS: L 10.2 x W 7.5 x H 7.1 inches. 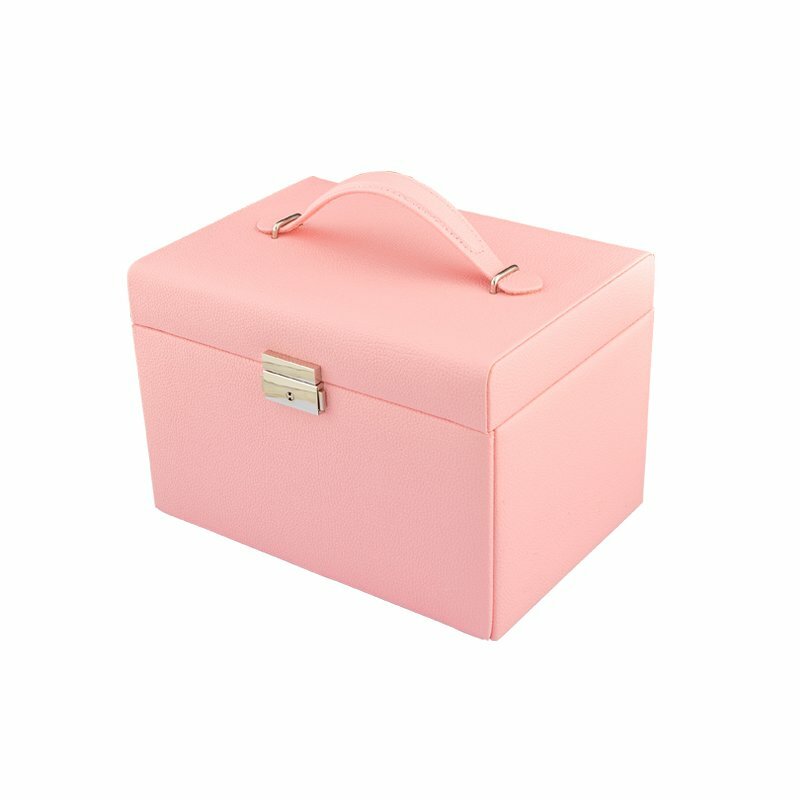 BUILT TO LAST: Made from durable synthetic leather and a velvet lining, the City Beauty will keep your jewelry organized and ready to wear. 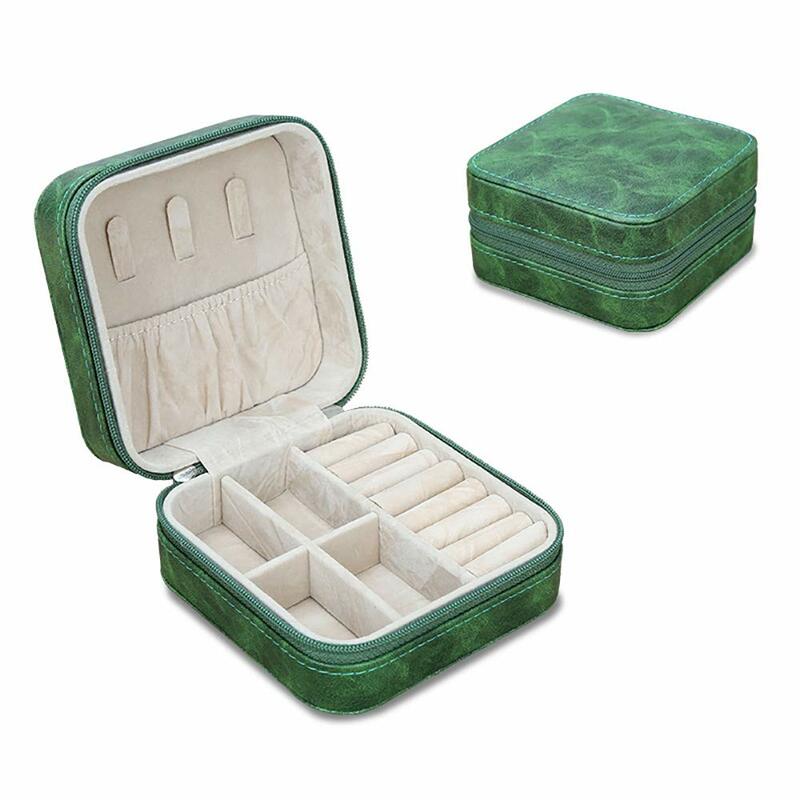 CONTAINS a built-in mirror, 13 earring hangers, 8 pairs of stud earring holders, 2 pouches in the side flaps, a row of ring rolls storing up to 18 rings, 3 drawers, and 3 compartments allowing you to store your whole jewelry collection. 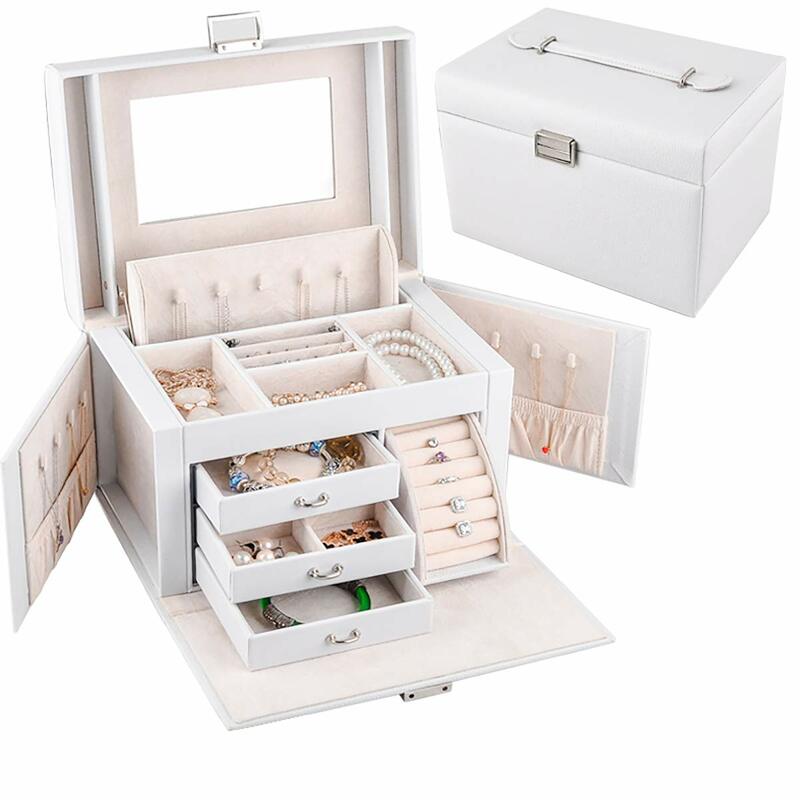 A delicately constructed jewelry box with elegant style. 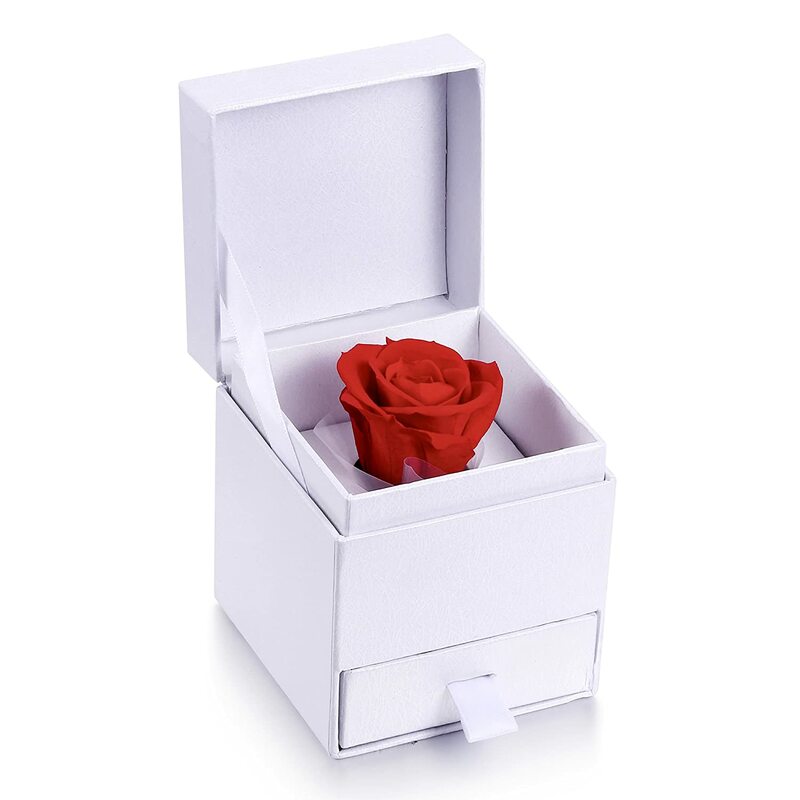 The City Beauty makes a wonderful gift for your beloved woman/girl in your life. 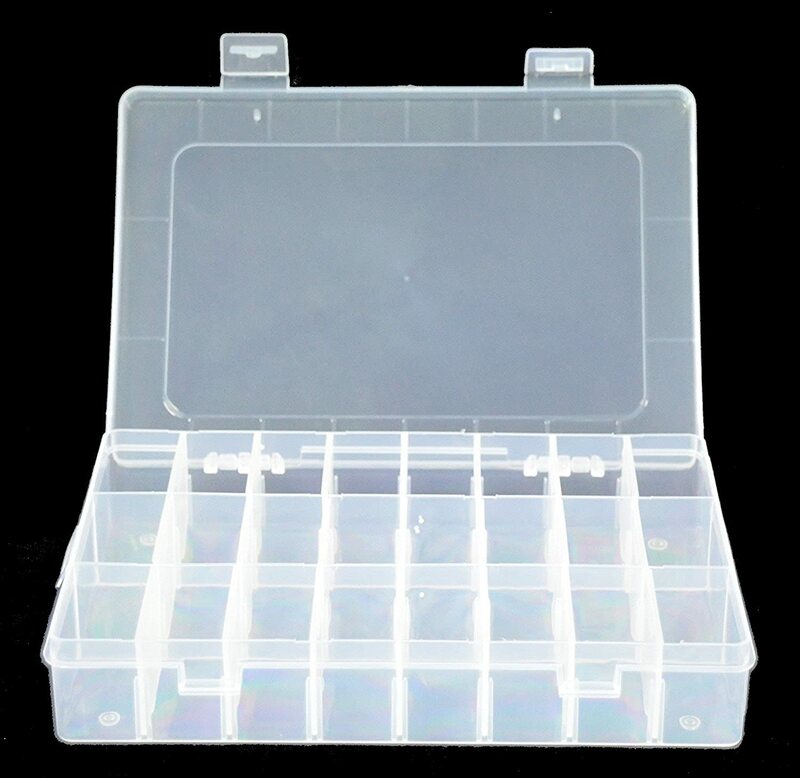 Mental hinge, making the box solider and more durable. 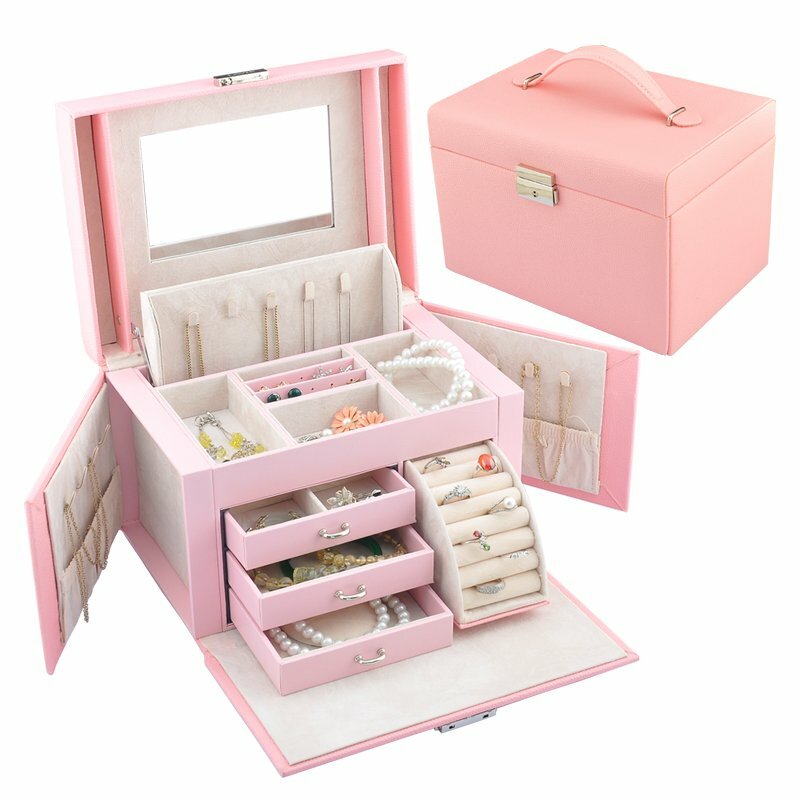 Two necklaces hanging wings with 8 hooks and 2 storage bags, to keep your necklaces or long earrings from tangling. 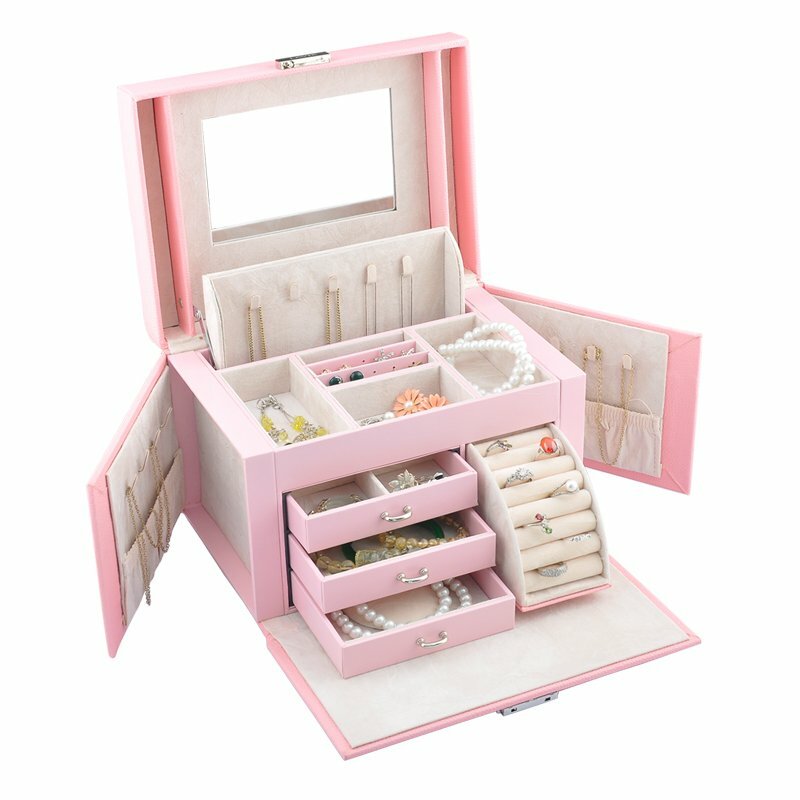 Removal drawers for bracelet, watch and your other bigger jewelries storage and ten rings groove. 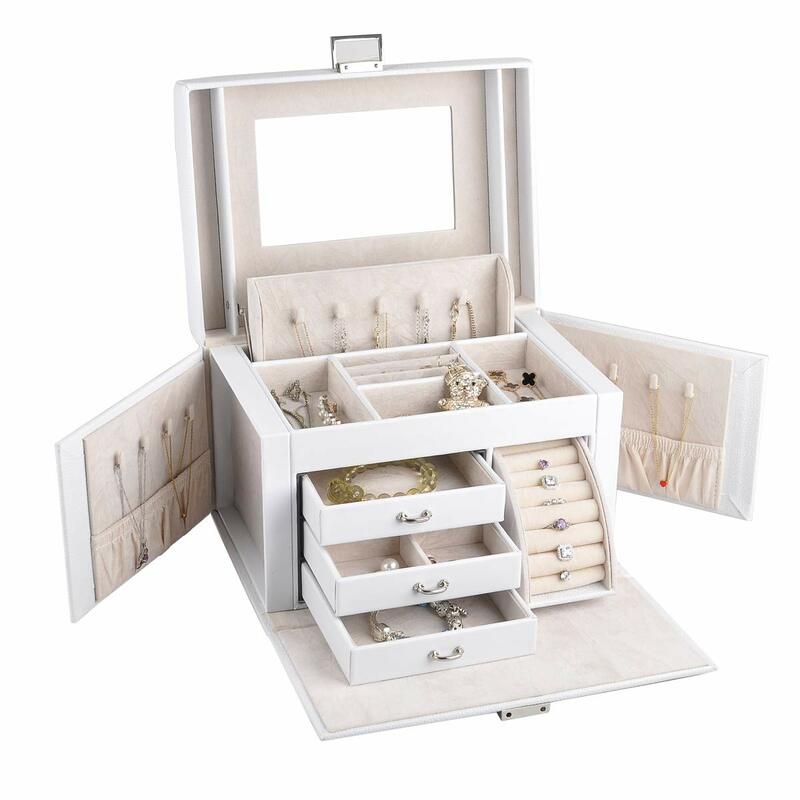 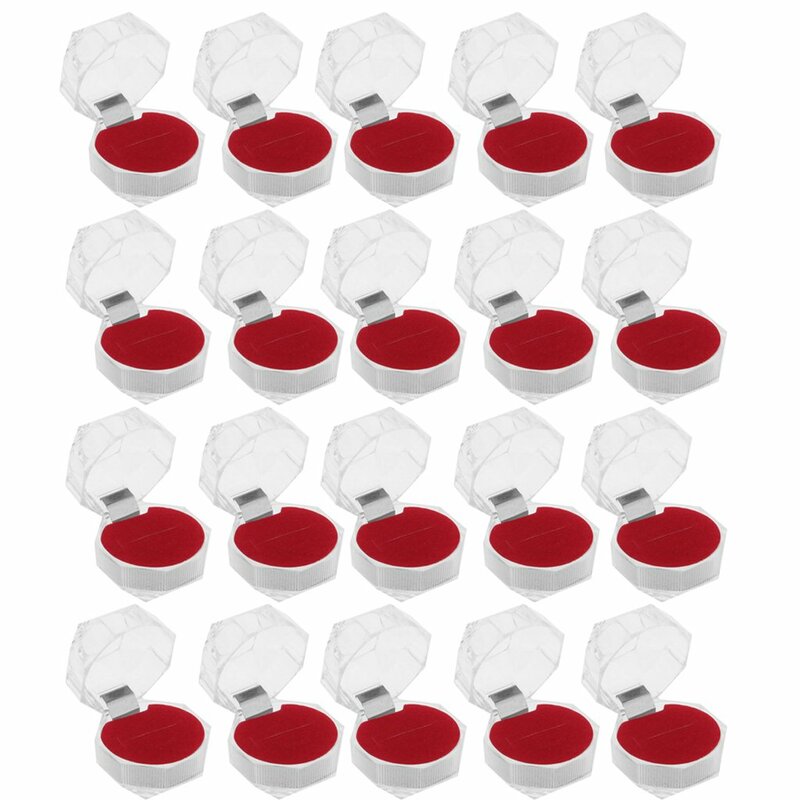 Different size sections on the top to meet your needs for various jewelries.